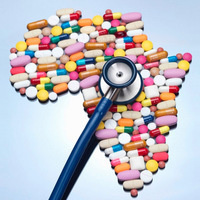 This public lecture will explore the challenges and opportunities involved in developing good public health practices in Africa, the role of government and the private sector in effective healthcare delivery and an in-depth look at health care policy in Africa. Prof. Jean-Germain Gros, Visiting Faculty (USA), Professor of Political Science and Public Policy. Dr. Naa Ashiley Vanderpuye – Donton, CEO - West Africa AIDS Foundation (WAAF), MD - International Health Care Center (IHCC). Prof. Badu Akosa, former Director General of the Ghana Health Service (GHS).